Ex-Houston and former All-Star center Yao Ming has announced his future plans at his post-retirement press conference in Shanghai on Wednesday afternoon. Ex-Houston and former All-Star center Yao Ming has announced his future plans at his post-retirement press conference in Shanghai on Wednesday afternoon, China.org.cn reports. News broke out that Yao had decided to end his basketball career on June 9, which was later confirmed by NBA authorities and Xinhua. Yao entered the Houston Rockets as the No. 1 pick in 2002 and had a career average of 19 points, 9.3 rebounds and 1.9 blocks per game. His prolonged injuries began when he twisted his ankle in the second round of the 2009 playoffs. The Nov. 11, 2011 season match against the Washington Wizards has marked Yao's last appearance on the NBA court, in which he quit the game after six minutes. The Rockets said they were interested in re-signing Yao Ming if he could come back healthy, the Houston Chronicle reported Wednesday. Yao said in April that his professional future depended on his recovery from a stress fracture in his left ankle. 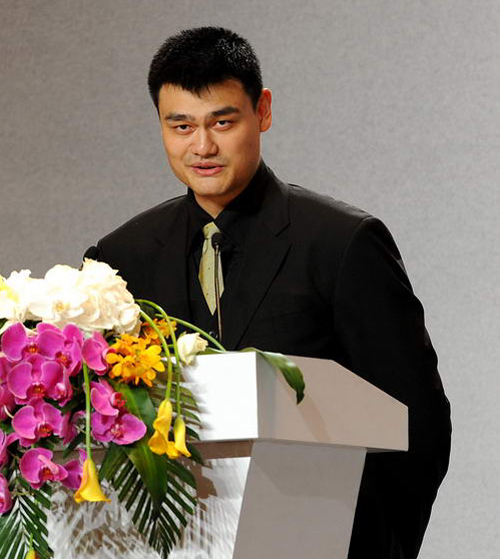 Speaking of his future plans at a press conference Wednesday, Yao expressed his interest in becoming head coach of the Shanghai Sharks, the Chinese professional team he played with before going to the NBA.